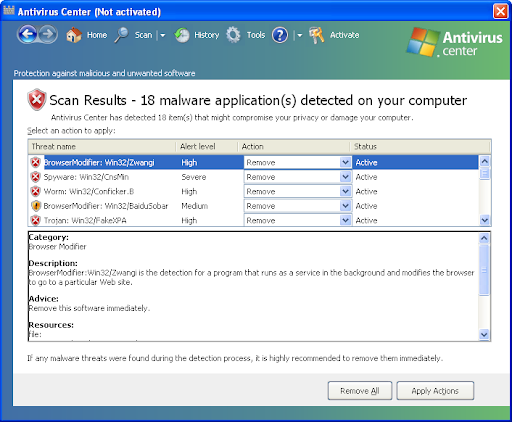 Antivirus Center is a fake security application (rogue) from the same family as: Internet Protection, Antimalware Tool, System Defender, Internet Defender, Security Defender, Antimalware Defender. It displays fake infections to push users into buying a license. 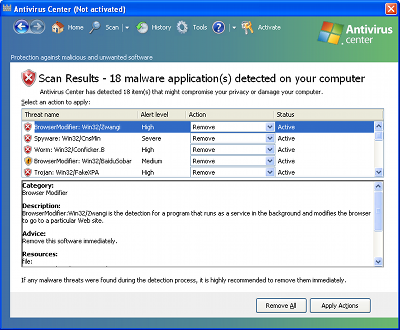 If your PC is infected with Antivirus Center use MBAM to remove the infection.